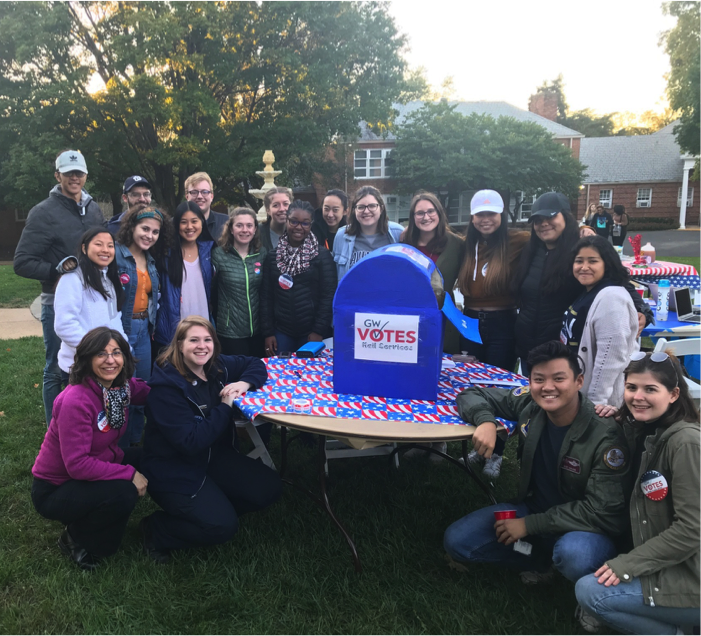 The Civic House Academic Residential Community (ARC) is a highly-selective first-year program for students interested in becoming active citizens engaged in their communities. The three core values of Civic House are live, learn, and serve. 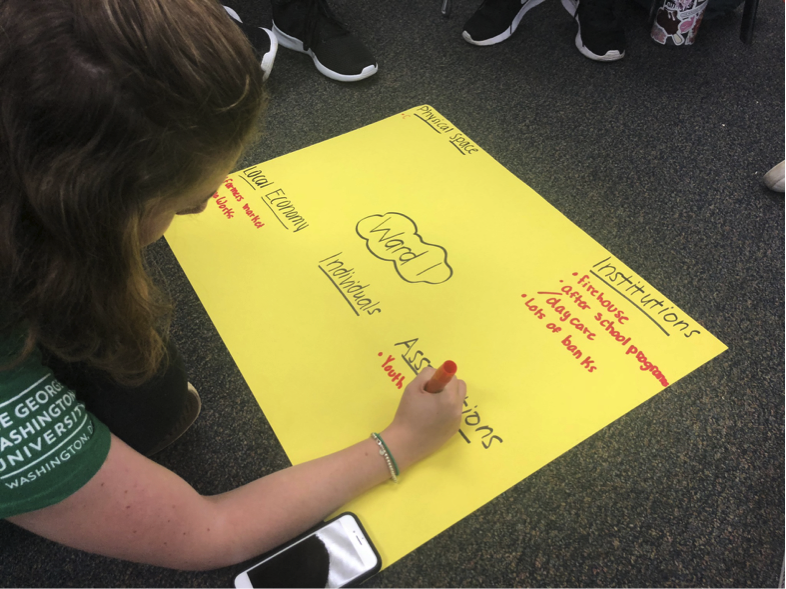 The program challenges students to learn about the unique culture, strengths, and needs of communities in Washington, D.C. and to build collaborative relationships with students, faculty, and community-based organizations to meet those needs through service. Scholars live with like-minded students on GW's Mount Vernon Campus. Civic House scholars are assigned a roommate who is also in Civic House. 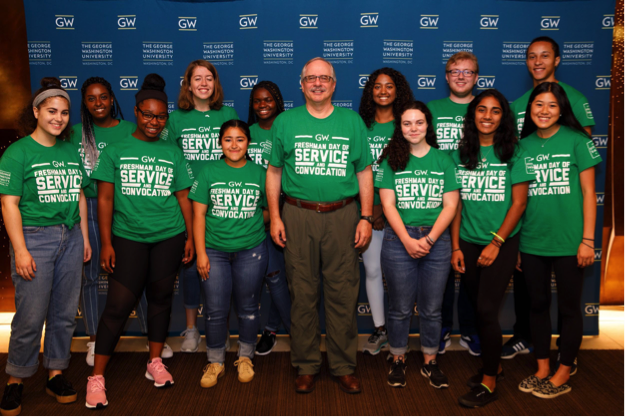 Additionally, scholars are each assigned a Civic House Mentor, who is an upper-class GW student and former Civic House Scholar. 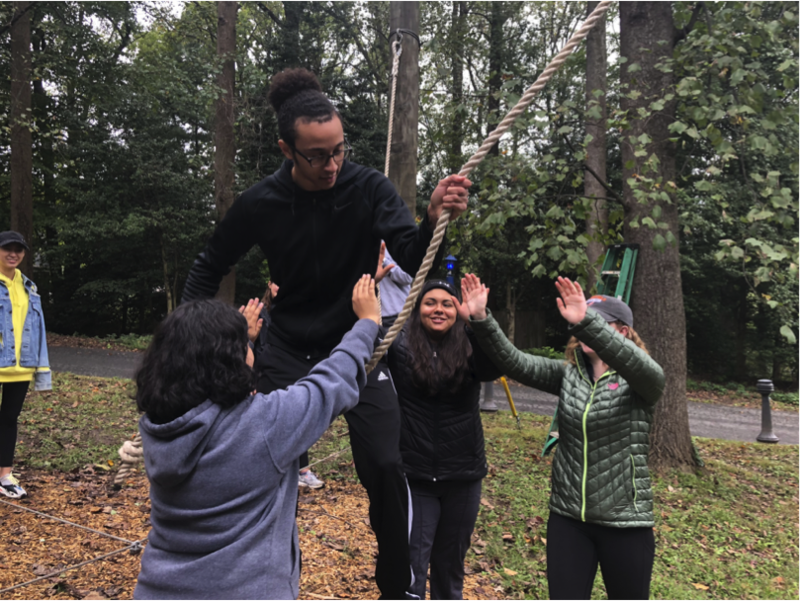 Mentors are there to help scholars navigate the many opportunities available at GW and facilitate connections between people who can help them reach their goals. Scholars take two Civic House-only service-learning courses during the freshman year. These include a University Writing (UW) course focused on either Writing for Social Change or Communicating Climate Change. UW courses are required of all GW students, and these sections are taught by two of GW's best writing faculty. Students also take a course on Citizen Leadership, taught by a leader in the field. Scholars participate in monthly Civic House Saturdays, during which they engage in service as well as meet with community leaders in Washington to learn about other forms of civic engagement, such as Direct Service, Philanthropy, Community Organizing & Activism, Policy & Governance, Social Entrepreneurship, Community-Engaged Scholarship & Research.